WASHINGTON — U.S. Supreme Court Justice Antonin Scalia died of natural causes and no autopsy was necessary, a judge has told The Associated Press. Terry Sharpe, assistant director for operations at El Paso International Airport, said a private plane carrying Scalia’s body departed around 8 p.m. EST Sunday. 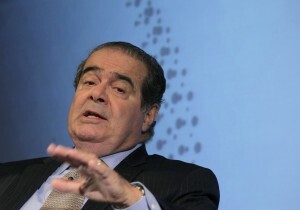 Scalia’s body was accompanied to the airport by U.S. marshals, he said. The body was returned to Virginia late Sunday. David Warren reported from Dallas. Associated Press writers Sarah Rankin in Chicago and Betsy Blaney in Lubbock, Texas, contributed to this report. AP videographer John L. Mone in El Paso, Texas, also contributed.